When we conceptualized an e-commerce transaction, the first thing that comes to mind is a striking display of products, attractive landing pages, and well planned categories. However, it is a mistake to underestimate the influence of the checkout page / process. It is a final step in the entire process that can make or break any e-commerce deal. An online sale is not completed until your user gives their credit card number and concludes the transaction. Statistics suggest that nearly 60% of the customers abandon their shopping cart; this is a huge number for any e-commerce website. While cart abandonment can occur for the reasons beyond a business control, however, a high proportion of your abandoned sales may be directly related to ineffective check out process. A confusing checkout process and insecure online transactions can leave the customers baffled and make them look somewhere else. How to optimize shopping experience? If your shoppers does not feel secure while giving their credit card number, it is highly probable that they might altogether abandon their carts. You can optimize your payment process through increasing the perceived security of your portal by adding security texts, security icons, and badges. A simple addition of padlock image and GeoTrust seal can go a long way in building the trust of your shoppers. Also, list down the preferred payment options well ahead of the transaction. 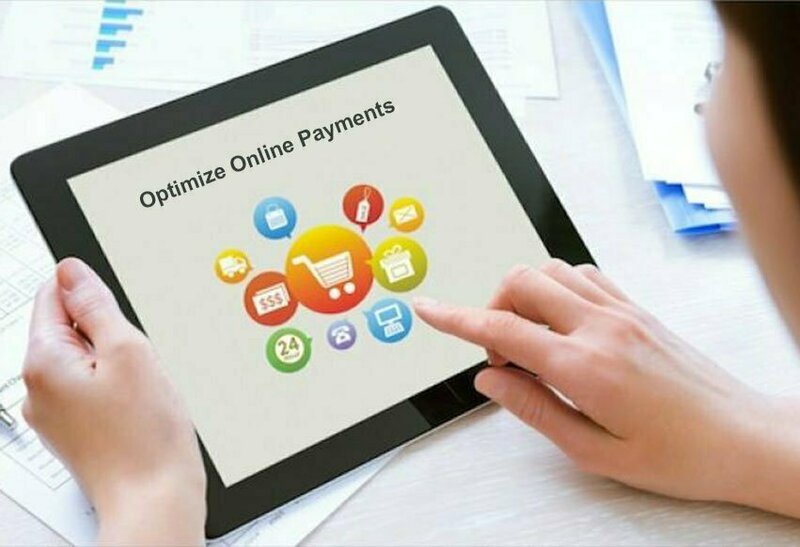 Shoppers find it extremely frustrating and annoying to complete the entire payment gateway process only to find their preferred payment is not accepted by your website. Registration should not be mandatory for online shopping, and if you do make it compulsory, try to ask for the least amount of details. Shoppers often show high resentment when made to register forcibly before finalizing their purchase. Instead, find creative and inconspicuous ways to persuade them to register. Talk about various perks and privilege discounts to give them a subtle push to register. Display error messages in a timely manner. A new shopper might feel confused or baffled when filling out the forms for the first time. Thus, it is common that he/she might make some mistakes while checking out. It is critical that your e-commerce portal points out the errors in crisp, user-friendly sentences, highlighting the problems right beside the error field. A perplexed shopper is most likely to get frustrated and abandon the sale. Today, one out of three shoppers uses their Smartphones either to research online services or purchase online. With the growing technology and innovative breakthroughs in devices, this number is only going to increase. Shoppers need to easily navigate and read your website on their mobile phones, or they won’t think twice before leaving your portal and look for better options. This means, that designing a responsive website has become more critical than ever. One of the top reasons for why shoppers abandon their carts is because of unexpected high taxes and shipping costs found at the end of the transaction. Be absolutely transparent about your costs and be upfront on the products page, so your shopper will be well-prepared and less annoyed. Timeouts can occur due to many understandable reasons such as connectivity issues. However, if users have to re-enter all the carefully filled out forms after an expired session, it can be extremely frustrating. Taking care to save user data at the correct time can help to make the shopping process easier. If your checkout process is not streamlined and involves far too many steps, users can be annoyed and ultimately abandon the sale. This holds especially true for the impulse buyers who might lose willingness to continue with the purchase. What may seem like a little step can be the differential step between final sale and cart abandonment. Simplicity in your checkout process adds to the user experience and helps to decrease abandoned carts. Most users feel secure and confident about buying a product or service when seeing other people’s recommendations for the products. Include testimonials and reviews of happy customers to build trust in your products. Testimonials and reviews are an effective reassurance method to help customers make a quick decision about their purchase and eventually increase your conversion rate dramatically. Your checkout process should be a quick and an easy experience for your users. Let Pulse Solutions design a bespoke e-commerce experience for your users.